High street florists, flower wholesalers and growers, Modular Coldrooms have installed cold storage solutions for all requirements within the flower industry. Are you looking for a display Cold Room? Or may be a storage unit. We have a large selection of units, designs and capacities to meet your requirements. Our design team have been involved in both retail and industrial projects within the flouriest Industry. We understand the requirements of our customers and work to meet their requirements in building a unit which is both cost effective and efficient. A coldroom with an internal space of 6ft long x 4ft wide x 6ft high (or 4cu m) enables more than 4,000 litres gross capacity to be assembled on-site from standard components for about £2,800. That's comparable to the list price of a double-door upright commercial refrigerator with a gross capacity of 1,400 litres, and a lot cheaper, litre for litre, than a counter-type refrigerated storage cabinet. 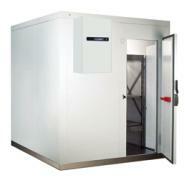 Our commercial Modular cold rooms are manufactured with high quality durable 80mm or 100mm polyurethane Insulation. Simple cam-lock assembly allows these units to be assembled within 3-4 hours. 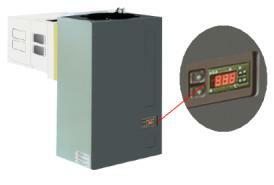 All compressors are pre-charged before dispatch to ensure a simple assembly. Panel mounted straddle refrigeration included (corner, remote & ceiling compressor available). These units are supplied with panel mounted straddle units or corner units as standard (Ceiling Mounted & remote type split units are available on request).